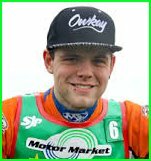 Mikey was the first rider to be signed by the Heathens for 2015, he was signed by the Heathens at the previous end of season party. He was well known to the management though as he was mechanic to Max Clegg during the 2014 season. The Manchester born youngster was previously attached to Buxton in 2011, as a fifteen year old he finished 4th in the British Under 16 Junior Championship. Stayed with Buxton for 2012 having five matches for an average of 2.75. Mikey became a Heathens asset in May 2015 which delighted the 18 year old. He found it difficult around the Perry Barr 2015 'home' track having many falls by being over enthusiastic but settled down to be a good reserve. Sustained a broken collarbone at Mildenhall in June and missed three matches. He recovered well and was soon scoring well in the main body of the team. 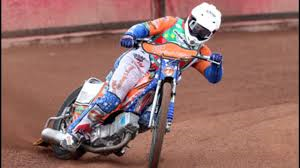 However the cost of speedway got to him later in the season when his machinery started to let him down and had to miss the last five matches with no serviceable equipment available to him.